Recently, I received a Bzz kit for Be. Wines. 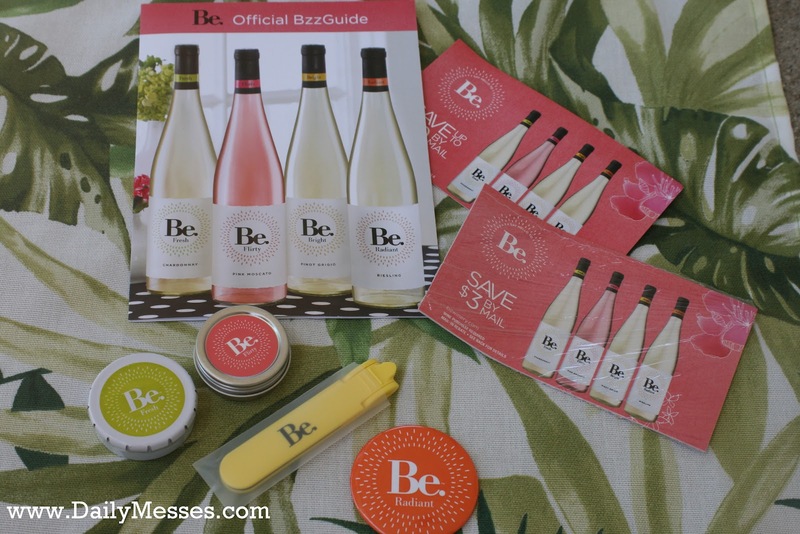 The kit came with some Be labeled products (lip gloss, nail file, mints, and a small mirror) and mail in rebates for the wine. Be. 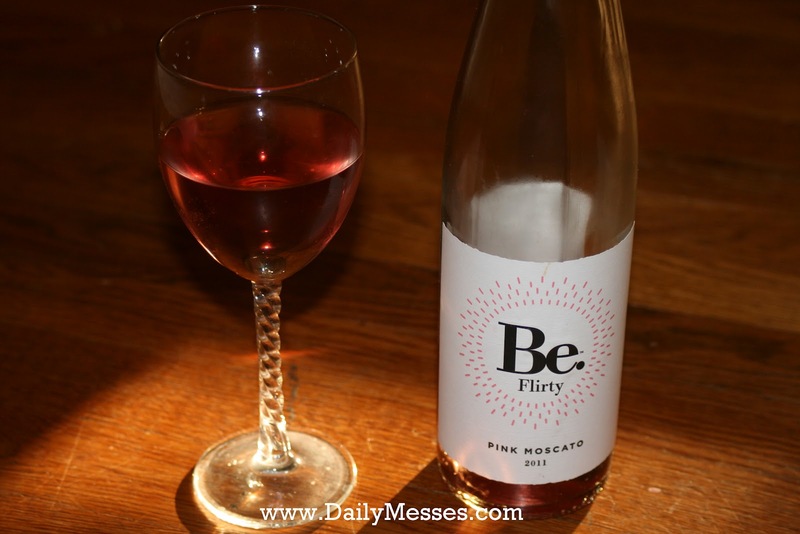 Flirty Pink Moscato: "rich berry and delicate floral notes"
Be. Bright Pinot Grigio: "sun-ripened citrus flavors and zesty hints of citrus"
Be. Fresh Chardonnay: "crisp green apple flavors and zesty hints of citrus"
Be. Radiant Riesling: "tantalizing fruit flavors and bright floral notes"
I was in the mood for something sweet, so I picked the Pink Moscato and let it chill for a couple hours until dinner. (Ok, so it didn't really pair with dinner, but I really wanted to try it.) It is definitely a sweet wine. It is great for sitting around, sipping while talking with hubby or friends, or reading a good book. It leaves a nice slightly sweet aftertaste, nothing too strong. Most of the time when I read wine descriptions, I can't taste whatever they described. (I always fall for ones that state chocolate in the taste description and am pretty much always disappointed.) This time, I could actually taste berry type of flavors in the Pink Moscato! *These are just my opinions. I receive free samples from BuzzAgent, but am in no way compensated otherwise.